IIT Jodhpur Recruitment 2019 - Apply Online for 23 Non-Academic Staff Posts in IIT Jodhpur, Rajasthan on Deputation / Contract Basis. Online Applications are invited by IIT Jodhpur from 31 Jan 2019 to 15 Mar 2019 till 05:00 PM for 23 vacancies. 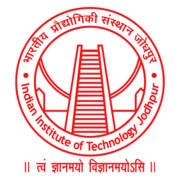 Eligible candidates may apply online at IIT Jodhpur's website (direct link is given below) from 31 Jan 2019 to 15 Mar 2019 till 05:00 PM. Candidates log on to https://oa.iitj.ac.in/OA_REC/. After applying online applicants need to send the hard copy/print out of online application form along with all relevant supporting documents and fees receipt to Officer In-charge Office of Recruitment Indian Institute of Technology Jodhpur NH 65, Nagaur Road Karwad 342037 Jodhpur District Phone: (0291) 280 1111 eMail: recruitment@iitj.ac.in. The application with all relevant documents should reach on or before 22 March 2019 till 05:00 PM.